I love working with repeat clients and I have worked with Landy to create items for her grandmother's 102nd birthday as well as a few other events. Her most recent request was for an invite for a Bunco party. 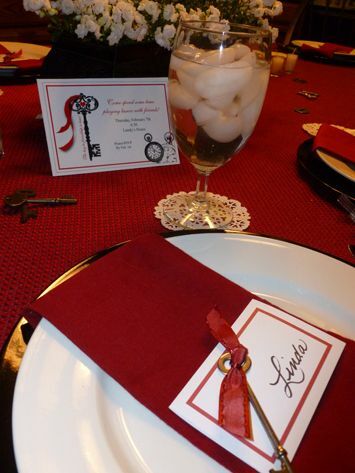 She had been collecting antique keys and wanted a key as well as the quote, "the key to friendship is time" and possibly a clock on the invite. 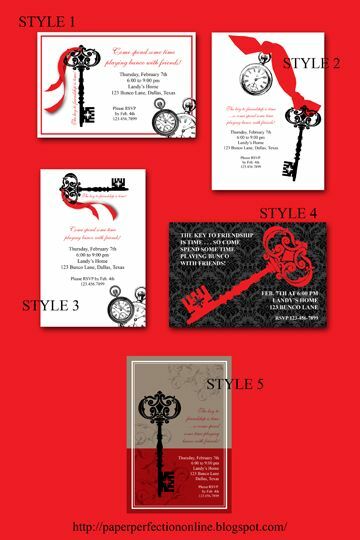 Here are a few designs that I created for her special event.